Don’t miss these amazing speakers at this important LITA preconference to the ALA Annual 2016 conference in Orlando FL. Learn strategies on how to make you, your librarians and your patrons more secure & private in a world of ubiquitous digital surveillance and criminal hacking. We’ll teach tools that keep your data safe inside of the library and out — how to secure your library network environment, website, and public PCs, as well as tools and tips you can teach to patrons in computer classes and one-on-one tech sessions. We’ll tackle security myths, passwords, tracking, malware, and more, covering a range of tools from basic to advanced, making this session ideal for any library staff. Jessamyn West is a librarian and technologist living in rural Vermont. She studies and writes about the digital divide and solves technology problems for schools and libraries. Jessamyn has been speaking on the intersection of libraries, technology and politics since 2003. Check out her long running professional blog Librarian.net. Jessamyn has given presentations, workshops, keynotes and all-day sessions on technology and library topics across North America and Australia. 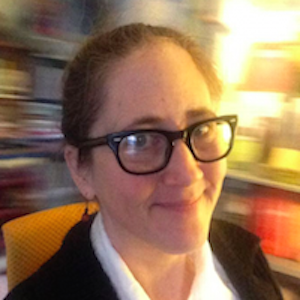 She has been speaking and writing on the intersection of libraries and technology for over a decade. A few of her favorite topics include: Copyright and fair use; Free culture and creative commons; and the Digital divide. She is the author of Without a Net: Librarians Bridging the Digital Divide, and has written the Practical Technology column for Computers in Libraries magazine since 2008. Blake Carver is the guy behind LISNews, LISWire & LISHost. Blake was one of the first librarian bloggers (he created LISNews in 1999) and is a member of Library Journal’s first Movers & Shakers cohort. He has worked as a web librarian, a college instructor, and a programmer at a startup. He is currently the Senior Systems Administrator for LYRASIS Technology Services where he manages the servers and infrastructure that support their products and services. Blake has presented widely at professional conferences talking about open source systems, Drupal, WordPress and IT Security For Libraries. For all other questions or comments related to the preconference, contact LITA at (312) 280-4269 or Mark Beatty, mbeatty@ala.org. 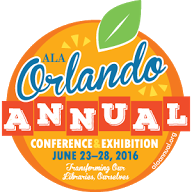 2016, ALA Annual Conferences. permalink.